Nobody could have predicted that when Steffen Kummerer formed his Obscura in 2002 that he and his men would outlast Necrophagist, from whence most members of Obscura’s most iconic constellation came. To be entirely frank, we’ve always had a soft spot for these Germans. Since their high-profile Relapse Records debut “Cosmogenesis” the Teutonic combo has been seamlessly merging the best elements of post-“Leprosy” Death and “Spheres” era Pestilence with the densely structured songwriting of Suffocation circa “Breeding the Spawn” and the instrumental wizardry of "Focus" era Cynic and Watchtower. “Diluvium” returns to the astral and cosmic themes of “Cosmogenesis” and deals with the death of stars, the emergence of black holes and the eventual collapse of the universe. Obscura was never afraid to venture into more philosophical – and esoteric territory. On “Diluvium” they cement their position as the best genre unit since Aurora Borealis. One of the most appealing aspects about Obscura was that they never let themselves be dictated or restricted by the fairly narrow limitations that the death metal genre usually employs. Not that their Gorguts inspired moniker wasn't enough of an indication of that very thing. Always more of the Chuck Schuldiner school of songwriting Kummerer and his men have always prided themselves on bringing an air of intelligence and sophistication back to the typically bovine subject matter that death metal usually dwells in. “Cosmogenesis” chronicled, among other things, the birth of the universe and a variety of astral phenomena. From that point on Kummerer handled the collected works of forgotten German philosopher Friedrich Wilhelm Joseph Schelling, one of the founders of the Naturphilosophie, on “Omnivium”. “Akróasis” further explored philosophical concepts, detailing the titular Greek philosophical term that originated with Plato and formed a cornerstone of Neoplatonic systems. After two back-to-back excursions into more ethereal - and esoteric realms, Obscura returns to more astronomical themes. “Diluvium” is the first Obscura record where the lion’s share of the material wasn’t written by Steffen Kummerer. 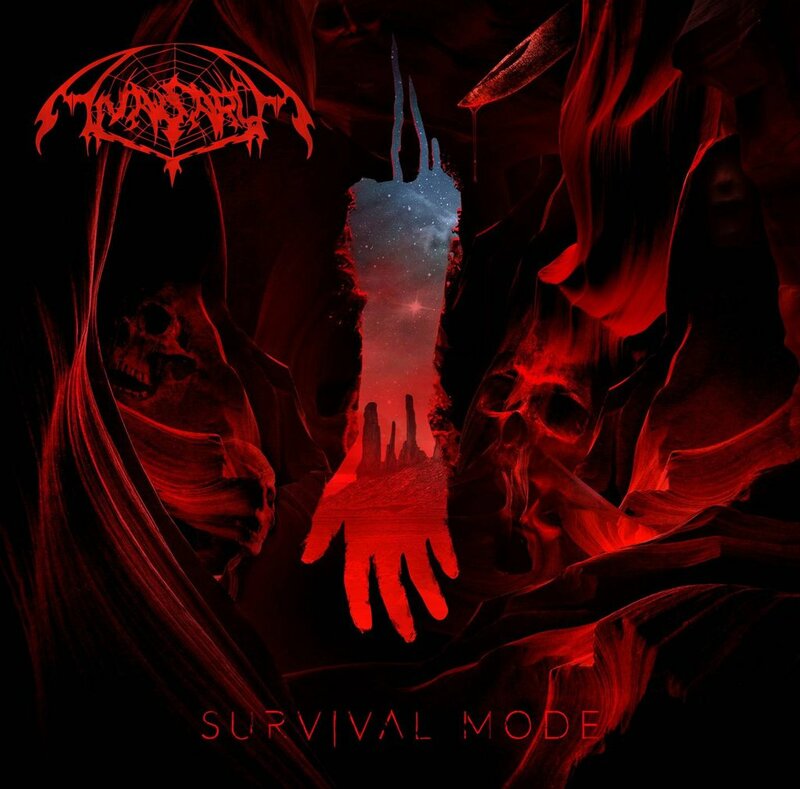 In fact the majority for the session was written by bass guitarist Linus Klausenitzer and lead guitarist Rafael Trujillo with Kummerer only contributing the trio of ‘Emergent Evolution’, ‘Convergence’ and ‘The Seventh Aeon’. On “Akróasis” the progressive flourishes already came to be more prominent and “Diluvium” continues that evolution. In direct comparison the Kummerer-written albums tend to have a more conventionally percussive, straightforward slant about them that is largely traded in here for a greater interplay between each of the instruments collectively and every instrument individually. Klausenitzer, like Thesseling before him, already was an integral part on “Akróasis” but on “Diluvium” he’s finally given the space to weave some truly mesmerizing ebbing and flowing, oozing bass licks. The ambient synthesizer washes, acoustic breaks, and vocoder ululations all are accounted for and “Diluvium” sounds recognizably Obscura. The biggest difference is that the Klausenitzer-Trujillo material generally tends to be more on the melodic side. ‘Ekpyrosis’ unfortunately is not a valentine to curly Italian wonder Ilaria Casiraghi. Obscura is far more progressive minded and melodically inclined on “Diluvium” and the percussive thrust from “Cosmogenesis” and “Omnivium” has been largely relegated to the background. The change isn’t entirely unexpected and Obscura has always been as much inspired by “Focus” era Cynic as they were by “Necroticism - Descanting the Insalubrious” era Carcass. Germany has a history of being responsible for some great (if not largely forgotten or unknown) technical death metal acts as Cemetery, Golem, Pavor and Ingurgitating Oblivion. 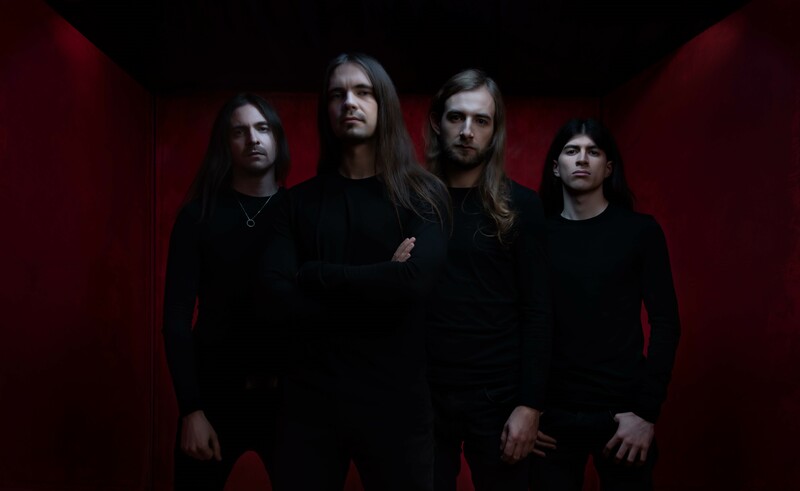 Obscura had the good fortune to come from the Necrophagist family tree and thus had the necessary industry connections to build a career for themselves. To his credit Kummerer and his band have proven resilient in the face of trial and tribulation and survived two major line-up changes since forming in 2002. 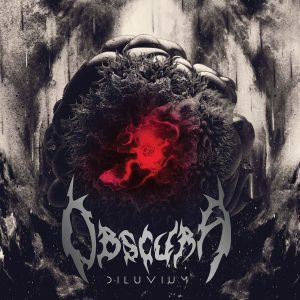 By letting his bandmates contribute to a larger degree Obscura is allowed to explore the more conventionally brutal and the more progressive aspects of its sound. Hopefully the next record will see Kummerer and Klausenitzer-Trujillo contribute equally.